Organisers announce changes to the qualifying standards for the 2020 event. You will now need to run five minutes quicker to have a chance of a place in the Boston Marathon in 2020. 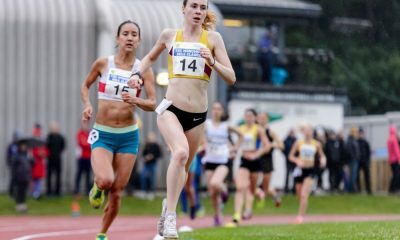 Male runners aged 18-34 will be required to have run a sub-3 hour marathon, while women aged 18-34, need to have posted a sub-3:30 marathon. 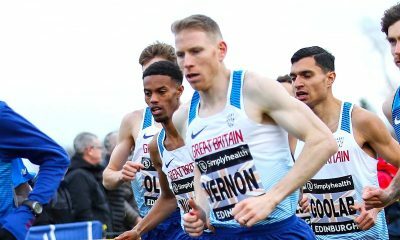 The changes to the qualifying standards across all age groups were announced after the organisers revealed 7,384 runners who achieved the qualifying time for 2019 were not offered a place due to demand. 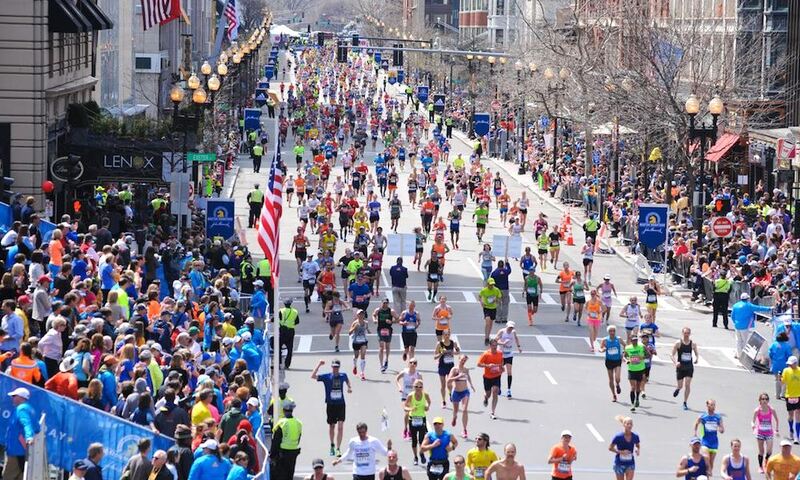 A total of 30,458 applications who had met the qualifying standards for the 2019 Boston Marathon were received. Even though more than 30,000 met the mark, the race was unable to admit all qualified runners, allowing the fastest qualifiers to register first. This resulted in 23,074 qualifiers who were four minutes, 52 seconds (4:52) or faster than the qualifying time for their age group and gender being accepted. This is a growing pattern for the sixth year in a row, prompting organisers to reevaluate the qualifying times. “The B.A.A. has worked hard to ensure an equitable and fair process for gaining entry into the Boston Marathon,” said Tom Grilk, B.A.A. Chief Executive Officer. “Due to the unprecedented support and interest in being part of next year’s race, the B.A.A. unfortunately is unable to accept all deserving participants who achieved hard-earned qualifying times. We thank them for their running efforts and desire to run with us. Grilk continued: “We have adjusted the qualifying standards for the 2020 Boston Marathon, as the number of marathoners who have submitted applications to run the Boston Marathon has increased significantly during the most recent two registration years. “We forecast the interest in running Boston as continuing. 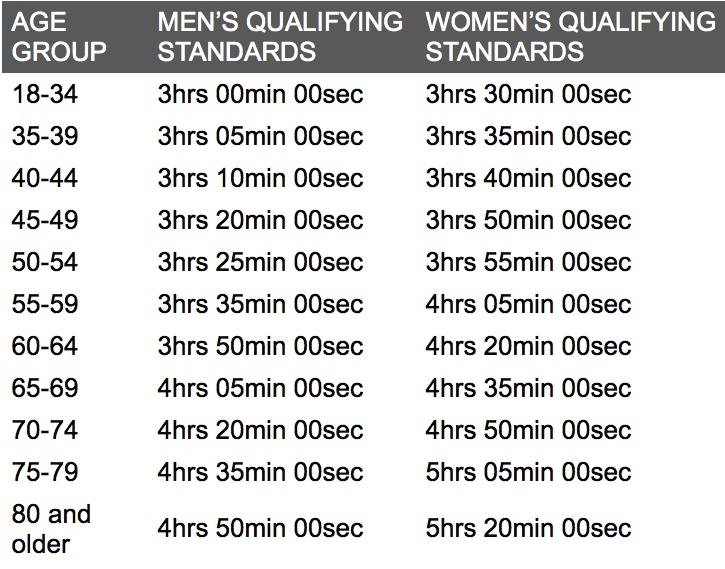 The 2020 Boston Marathon qualifying standards are listed below. The qualifying window for the 2020 Boston Marathon began on Saturday, September 15, 2018, and will continue through the conclusion of 2020 Boston Marathon registration next Autumn. For reference, qualifiers needed to be three minutes, 23 seconds or faster than their age group and gender for the 2018 Boston Marathon; two minutes, nine seconds or faster for the 2017 Boston Marathon; two minutes, 28 seconds or faster for the 2016 Boston Marathon; one minute, two seconds or faster for the 2015 Boston Marathon; and one minute, 38 seconds or faster for the 2014 Boston Marathon. 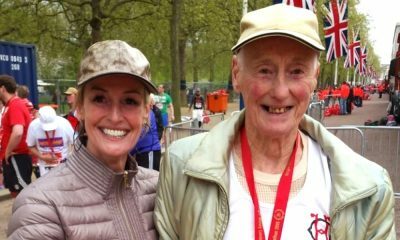 Earlier this year, the London Marathon announced changes to its Good for Age qualification process to ensure a closer ratio of applications from men and women. 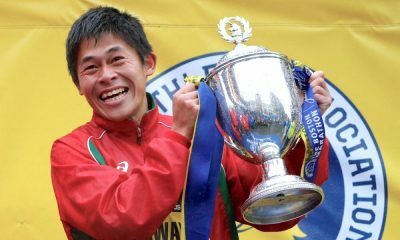 Among the amendments, the time required for male runners aged between 18 and 39 was reduced by five minutes to a sub 3-hour marathon. Additionally, male runners who achieve the qualifying time will no longer be guaranteed an entry, while the time for female runners within this age group will stay at a 3:45 marathon with the entry guaranteed.